Tesla's Model X is finally starting to roll off the assembly line in significant numbers. The crossover car with distinctive falcon-wing doors has been dogged by delays since its debut on Sept. 29. Tesla delivered only 206 of the cars in the fourth quarter of last year, and quality issues forced the company to limit production even more during part of January. 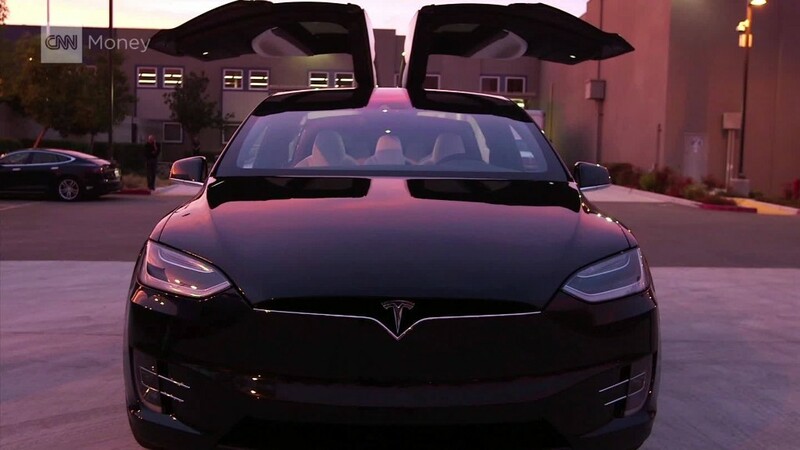 But the automaker said that weekly production of the Model X reached 750 in late March, and total deliveries for the first quarter came to 2,400. The company hopes to approach about 1,000 Model X's a week during the second quarter. Reaching the 750 a week production mark was a positive sign, said Karl Brauer, a senior analyst with Kelley Blue Book. "But it's unfortunate they took so long before they started actually building it -- a full quarter after the launch," he said. "Every one they can produce, there's a buyer waiting in line to buy it." Tesla CEO Elon Musk has admitted to hubris in trying to do too much with the early versions of the Model X, which has a starting price of roughly $132,000. Musk has promised to not make the same mistake with company's first mass market car, the Model 3. Tesla took more than 276,000 orders for the Model 3 since it started accepting deposits of $1,000 from interested buyers. But those cars won't go into production until the end of next year, and most of the buyers will have to wait until 2018 or later to get their cars. Tesla also announced Monday that it had sold 12,420 of its Model S sedan in the first quarter. But the Model S and Model X sales together were 7% short of the the company's earlier forecast first quarter sales of 16,000 vehicles. Shares of Tesla (TSLA), which have rallied on reports of strong Model 3 orders in recent days, lost ground in after-hours trading Monday. Tesla said despite the short-fall in first quarter sales, it remains on track to hit its full-year sales target of 80,000 to 90,000 vehicles.